At the end of February, while many people were intensely following Michael Cohen’s testimony before Congress, about 40 people packed a small room in the Cannon House Office Building to discuss the revival of the Office of Technology Assessment (OTA). The panelists outlined various arguments about the need for an OTA to provide nonpartisan, credible science and technology advice to Congress. For those who, like me, grew up in a post-OTA era, it can be hard to fully understand and appreciate the role that OTA played in the science policy landscape. OTA was established by a congressional act in 1972 and served out its twenty-year existence providing nonpartisan science and technology advice to Congress. Under the leadership of Newt Gingrich, congressional Republicans voted to defund the OTA in 1995. Since then its supporters have sought to revive the organization. The public and members of both political parties have become increasingly aware of a need for technical expertise available to the legislative branch, especially after the infamous Facebook hearings in 2018. Congress obviously needs a pipeline for nonpartisan technical advice to serve as a valuable input for decision making. But a revived OTA should not fill that role. Rather, we should look toward the recently launched Science, Technology Assessment, and Analytics (STAA) team housed within the Government Accountability Office (GAO) to take the lead. STAA has not only the organizational structure and knowledge capacity to complete this work, but also the strong nonpartisan reputation of the GAO to make the institution actually last. Badly needed science and technology expertise would help legislators formulate solutions to current challenges and look toward the future for emerging issues. Legislators are grappling with a host of scientific and technological pressures, including calls for a moratorium on human gene editing technology, fears about autonomous vehicle testing, and concerns about the need to advance the United States’ quantum computing capacity. It is important, however, to take the time to create not just a solution to the technical capacity problem but to attempt the bestsolution. In that vein, we should design a strong, long-lasting institution for technical advice, not simply try to recreate the old OTA—an organization vulnerable to defunding, whose demise has left us in the desperate state in which we currently find ourselves. Currently, congressional staffers officially collect their information from a variety of sources, including National Academies reports, issue advocates, lobbyists, and reports from the Congressional Research Service (CRS) and GAO. (Unofficially, they find much of their information where the rest of us do: Wikipedia.) Each of these information sources comes with its own benefits and challenges. Reports from the National Academies, CRS, and GAO are all well-balanced and thoroughly researched, but do not always align well with quick congressional turnaround times. These reports also often shy away from, if not explicitly avoid, offering policy advice. On the other end, lobbyists and issue advocates inundate staffers with information and policy proposals, but typically offer less balanced views. While these various sources provide valuable input to the complex decision-making landscape, we are undoubtedly missing the quality and quantity of advice that was once provided by OTA, and would be effectively provided by STAA. Robert Cook-Deegan, a faculty member at Arizona State University who worked at OTA from 1982 to 1988, was one of the meeting panelists. One of his comments stood out to me during the discussion. He offered his support for OTA on the condition that it is revived in the right way, with appropriate resources and a nonpartisan structure. The current appropriations proposal in the House puts forth $2.5 million for OTA, which fails to meet Cook-Deegan’s recommended $5 million preliminary budget. Re-creating OTA with insufficient resources simply sets the organization up for failure in the same way as starting off on a cross-country road trip with a quarter tank of gas. Although the road trip might mean a few hours spent by the side of the road and some less-than-pleasant vacation memories, a second failure to establish long-lasting congressional S&T advice would mean further erosion of technical capacity. Problems involving science and technology will only get more difficult, yet more important, to solve. The greatest barrier to reviving OTA now seems to be its value proposition, in light of the STAA team. What would OTA offer that STAA, or any of the other existing resources, could not? An often-cited argument in favor of reviving OTA in addition to creating the new GAO team is that the culture of GAO is a mismatch for foresight work. GAO’s organizational culture and work has traditionally focused on auditing waste, fraud, and abuse in the federal government. While changing an organization’s culture is undoubtedly a difficult task, it does not seem unreasonable that STAA could fill this role, leaning a little closer to the realm of foresight than its parent organization. 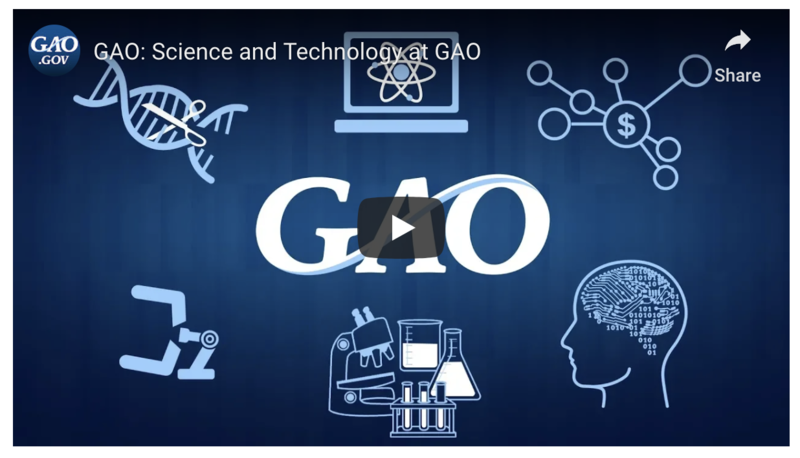 Even if its initial reports closely follow the traditional GAO format, STAA could venture more into thinking about emerging science and technology issues. In its strategic plan, STAA even outlines five emerging technologies, including genome editing, artificial intelligence, quantum computing, brain-computer interfaces, and cryptocurrencies, that it would like to consider in its future work. As an instrument of Congress, STAA’s focus will be directed by demand from members and congressional staffers. Reports from outside organizations like the National Academies could bring emerging issues to the forefront of congressional agendas, where they can then be supplemented by nonpartisan STAA reports. Housing the technical advice organization within GAO helps address many of the requirements for advice to Congress as outlined by the panelists at the February meeting. GAO is already a well-respected nonpartisan organization. Its protocols, founding legislation, and structure are recognized as credible by members of both major political parties. GAO also has the funding and resources to support thorough research projects. The organization has been a congressional favorite for its cost-saving reports that have helped the federal government save over $175 billion. These savings have given GAO the political and subsequent financial capital to establish and maintain STAA. Pushing for the creation of OTA in addition to STAA seems like a waste of resources. Furthermore, the duplication in mission could cause either (or both!) of the organizations to be cut during any belt-tightening budgets. When outlining the current challenges of providing congressional members and staffers with technical expertise, the panelists brought up high congressional staff turnover rates and the difficulty of competing with industry for talent. Ranking among the top five best places to work in the federal government since 2005, GAO seems best positioned to attract and retain talent. While the federal government will never be able to fully compete with industry salaries, GAO’s stability as an organization offers a benefit over a potentially shaky OTA. The establishment of STAA does not necessarily preclude the revival of OTA. Some argue that the two organizations would address different needs and niches. It seems, however, that attempting to launch both around the same time would be detrimental. A concurrent launch might stunt the development of STAA and create an OTA without enough resources to run effectively. In 1977, GAO wrote a report about OTA and offered recommendations on how to improve the organization. Rather than reviving something that may again find itself on the budgetary chopping block, we should allow STAA to fill the role of the “new OTA” in a manner that leverages the benefits of GAO as an established organization while offering a new take on science and technology advice for Congress—we should take a minute and give STAA a chance. Leah Kaplan is a program specialist at the Consortium for Science, Policy & Outcomes.